LET’S SOLVE WATER and MINIMIZE THE ENERGY. 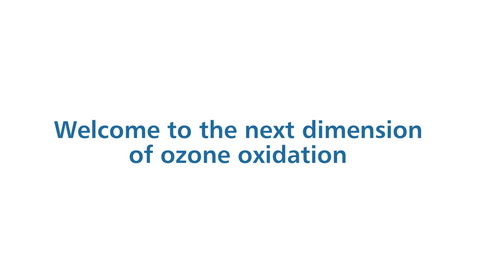 Xylem's Wedeco PDOevoPLUS ozone system has been engineered to produce large quantities of ozone both reliably and efficiently. The PDOevoPLUS series can also be customized and integrated to fit seamlessly into local conditions and processes. The PDOevoPLUS series is specially manufactured to operate with lower cooling water consumption, solving up to 60% water with maximum energy efficiency resulting in very low lifecycle costs. The new PDOevoPLUS system suit every application. The PDOevoPLUS pipework is made exclusively of stainless steel and comes equipped with all necessary and desired monitoring and concentration measurement instruments. All fittings and instruments are arranged for ease of operation, maintenance and control. Inlets and outlets are designed to suit local conditions as well. The power supplies are equipped with 12 or 18 pulse rectifiers and IGBT converter technology to meet harmonic requirements. Main voltages from 380 to 690 Volts are readily usable. Effizon evo 2G electrode technology is the core element of every Wedeco PDOevoPLUS ozone system. Featuring a glass core, which consists only of high strength borosilicate glass and stainless steel mesh, the Effizon evo 2G helps Wedeco ozone systems achieve a level of reliability and energy efficiency unattainable with most other electrode technologies. The electrodes are manufactured completely from inert materials, without the need for fuses or coatings, making them highly resistant to corrosion. This means that the Wedeco ozone generators are practically maintenance free with no need for regular cleaning or replacement of the electrodes. Effizon evo 2G electrodes offer multiple independently operated safety layers. This inherent safety feature is called Intelligent Electrode Protection. Intelligent Electrode Protection complements the existing active protection interlocks inside the power supply unit (PSU) with an additional passive electrode protection that does not rely on power. In contrast to traditional safety concepts, such as fuses, the innovative Intelligent Electrode Protection is not prone to any false detection in the event of electrode defects. The unique dual gap of the Effizon evo 2G electrode guides the oxygen gas flows across this electrical field on both the inside and outside of the glass tube dielectric. Medium voltage with variable frequency control is connected and evenly distributed to all electrodes, connected at the stainless steel mesh, which is supported with a glass rod. The glass dielectric tube provides resistance needed for creation of an electrical field in each stainless steel tube. The result is efficient ozone production on both sides of the dielectric, lowering the applied specific energy and increasing ozone production.